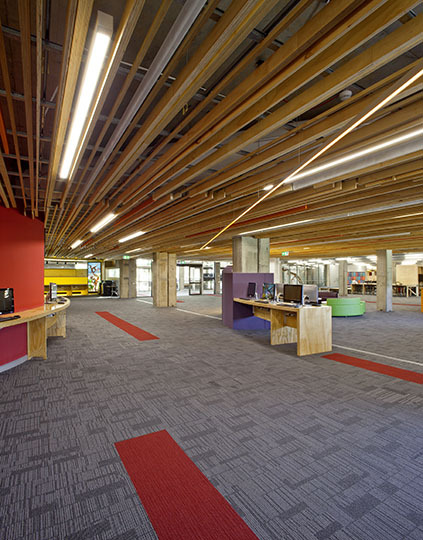 Since the completion of the new ‘Learning and Research Centre C3C’ at Macquarie University, which provided a new library facility for the entire Campus, an opportunity to conduct a student learning and spatial experiment presented itself. While the long term strategy for the redevelopment of the old library building (C7A) was being planned, an interim solution was proposed to utilise the existing space, until the commencement of the redevelopment. Feedback from students and staff indicated an opportunity to use these areas to fill a gap in social learning spaces available for students on Campus. To develop the opportunity of spatial experimentation, Macquarie University engaged four architectural firms to develop four different spaces within the useable areas of C7A. 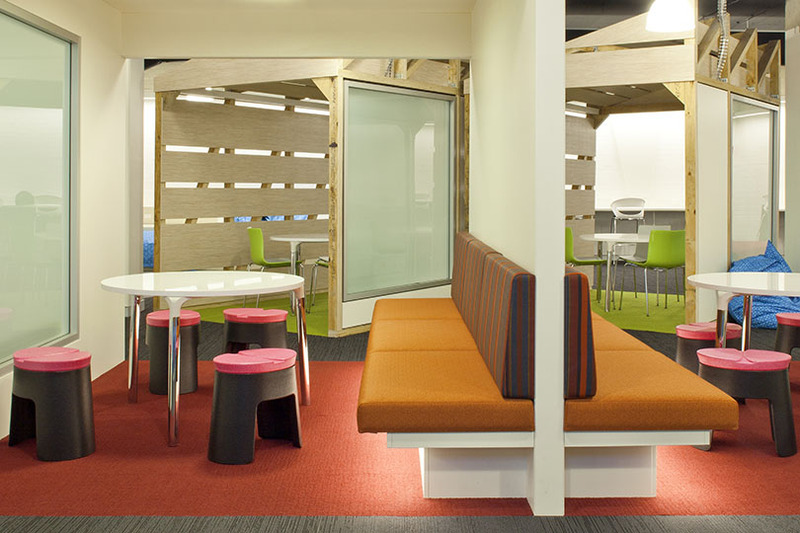 The brief provided a variety of flexible spaces that support the social learning environment, with an aesthetic that draws on raw materials from the industrial and natural world. Once designs were finalised, Grindley Interiors were engaged under a fixed lump sum contract to complete the full fitout of this two level building. 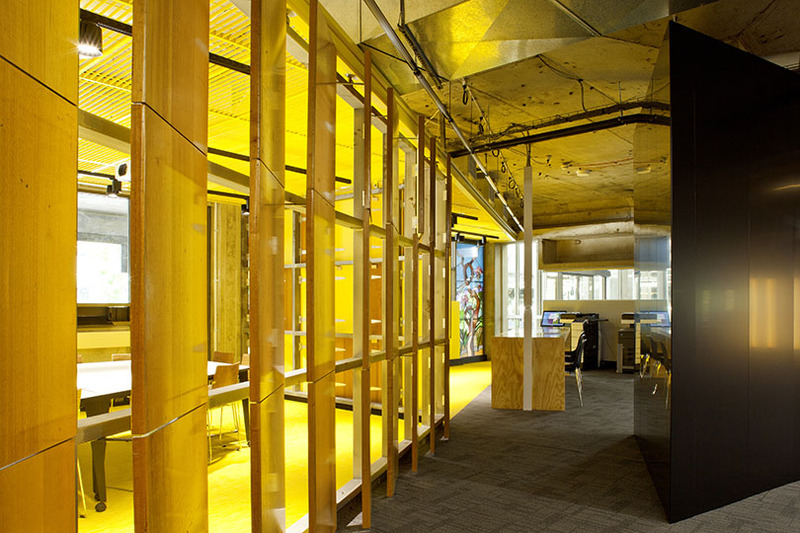 Once the fitout was complete, the spaces provided areas for groups of 2 to 8+ students to collaborate or study, while also providing opportunity for more personal work spaces. 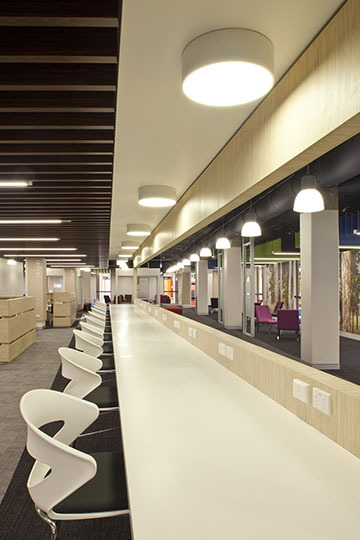 These areas are considered the middle ground between the social and active environment of the Campus Hub (C10A) and the more formal and quiet spaces of the new Learning and Research Centre (Library) C3C. 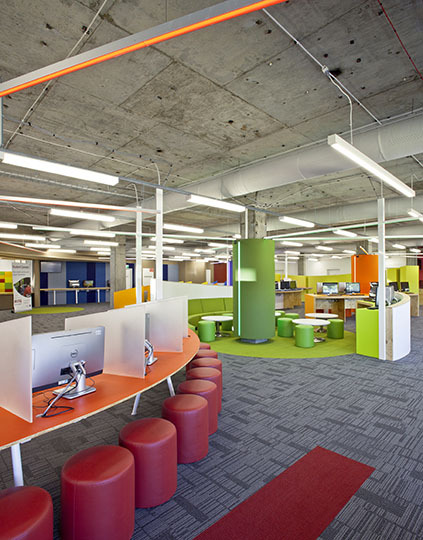 The building also features a dedicated ‘Student Connect Zone’, which is used for Student Administration and coursework enquiries.